It has been a while since I have shared my winter essentials (over 2 years in fact!) 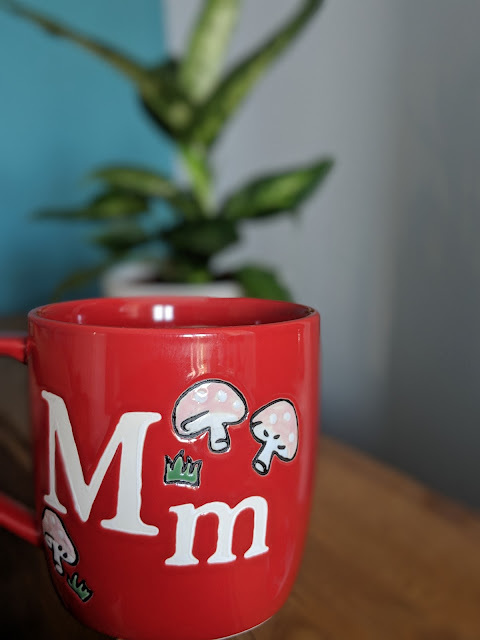 and although I still love cosy tights and comfy pyjamas, I have added a few products that I can't live without to my list. I got this Ren Flash Rinse 1 Minute Facial free with an M&S order before Christmas and it is literally saving my skin at the moment. I want to try some more Ren products but not sure where to start, any recommendations? I have raved about the Dr Jart Platinum BB Cream many times before and can't recommend it enough, it's expensive but oh so brilliant!. It's difficult to explain just why I love it so much but it has improved my skin so much! These Burt's Bees Lip Shimmers (FYI I have Rhubarb and Cherry) are my new favourite lip product, they have a lovely wearable tint and taste and smell minty, what more could you ask for? 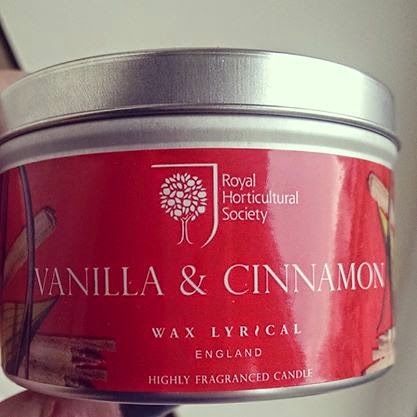 I am a massive fan of scented candles and this RHS Vanilla and Cinnamon candle is the perfect wintry scent, I'm onto my third candle this year! I bought this in Waitrose and I think it may have been a limited edition one for Christmas as it seems to have sold out instore now which is a shame as I absolutely love the smell! These slippers are probably my favourite thing that I bought this year. They were supposed to be £10 but I got them for a mere £1.75 (The cashier must have scanned them through wrong!) and they keep my feet so nice and warm. I have been spending most of my evenings curled up on the sofa underneath my new throw (I love you IKEA!) with a big mug of Hotel Chocolat Christmas drinking chocolate (another very lovely Christmas present!) to keep the chill away and although I'm not a fan of the dark evenings, there is something quite lovely about not having to go outside! I can't stop raving about the Dr Jart stuff, and I've already had two other friends buy it on my recommendation. It's just brilliant. Thank you so much for recommending it. My winter essential is the heater at my desk at work haha. Although it is massively drying out my skin. Your slippers are actually the cutest. I love love the Ren Flash Rinse!